Prior Authorization (PA) is required for medications your insurance has flagged as possibly unsafe, expensive or from a class of medications not covered by your plan. It may just be there are therapeutic alternatives, medications that have the same result or effect on the condition. Therapeutic alternatives may be safer or more cost effective. The medication may not be on the formulary. The formulary is a list of medications covered by your plan. It is a good idea to have a copy of this when you go to the doctor, it can reduce the need for PA’s in the future. Often expensive medications require “Step Therapy.” Step therapy is basically a requirement to try generic alternative for a condition, before brand name or more expensive treatments will be covered. Some medications may simply not be covered at all by your insurance. Weight loss medications are often not covered. Medications considered cosmetic, such as creams for lessening wrinkles, creams for hair removal or drops to grow eye lashes are rarely covered. Cough medications are often excluded. Medications that are available over-the-counter are frequently not covered. Many drugs for heartburn and reflux are now available without a prescription. Most times erectile dysfunctions medications are not covered. How does the PA process work? The pharmacy often notifies the prescribers office. The pharmacy may suggest alternative medications that the insurance will cover or they will provider the office with the insurance contact information. The Healthcare Provider with then change the medication or contact the insurance company. There are typically forms to complete, either online or via fax. The Doctor or Pharmacy may use a services such as Cover My Meds, to expedite the process. Some insurance companies have automated some of the process to speed approvals or denials. How long does it take for insurance to approve the Medication? It varies depending on the requirements for approval and they process required by the insurance company. It typically takes between 1 and 4 business days. For medications that are urgently required, an expedited approval can be requested. How do I get insurance to pay for Brand Name? 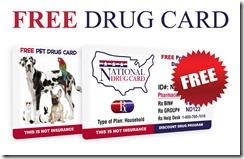 Many prescription insurance companies will not pay for Brand Name medication when a generic equivalent is available. It your prescriber wants you to take brand name they can start by writing on the prescription “Brand Name Only.” This is sometimes coded as DAW1. Requirements will vary by state and country. 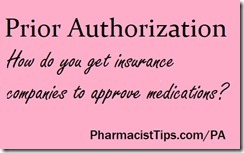 If the insurance rejects the brand name, the pharmacy can initiate a Prior Authorization for the brand name. If approved, the copay is typically much higher than the generic copay. What can I do if the insurance denies the medication? You can pay the cash price for the medication. Talk to your doctor about a generic alternative or follow the step therapy required by your insurance. It may be possible for your Doctor to find an alternative on the Formulary. Or, you could file an appeal. Prior Authorizations are frustrating for Doctors, patients and pharmacies. However, if we all work together the issue can usually be resolved. It usually just requires some time and patience.